The Paladins from San Diego, California are the preeminent blues/rockabilly band in America. Founded in the early 1980s by guitarist Dave Gonzalez and his high school friend and double bass player Thomas Yearsley, they have recorded five singles, nine full-length studio records, and three live albums. They helped pave the way for the rockabilly craze of the early 1980s, with their tagline at the time “Western & Bop”, as they played a combination of rockabilly and vintage country together with a blues groove. Along the way they built a solid reputation as one of America’s hardest-working and best live bands. Thirty-seven years later and The Paladins are still at the top of their game with dynamic performances that draw huge crowds. The band will be heading to Oregon for a pair of shows not to be missed. 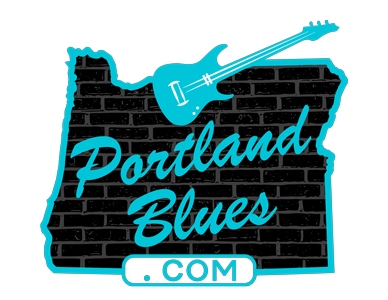 On Thursday, September 28, The Paladins will be heading to Portland for a show at Dante’s, 350 W Burnside. Show time is 9:00 pm, contact the venue (866) 777-8932 or check their website Danteslive.com for admission prices. Tickets to be available at Ticketweb.com. Then on Friday, September 29, head out to Hood River as The Paladins will be playing a free customer appreciation show at Double Mountain Brewery, on 8 Fourth Street. Show information is forthcoming so contact the venue at 541-387-0042 and watch their website Doublemountainbrewery.com for updates on show time. Also, head over to Music Millennium, 3158 E Burnside, on Thursday, September 28 for a short in-store appearance by The Paladins at 6:00 pm. While you’re there, make sure to check out the band’s discography and pick up an album or two.